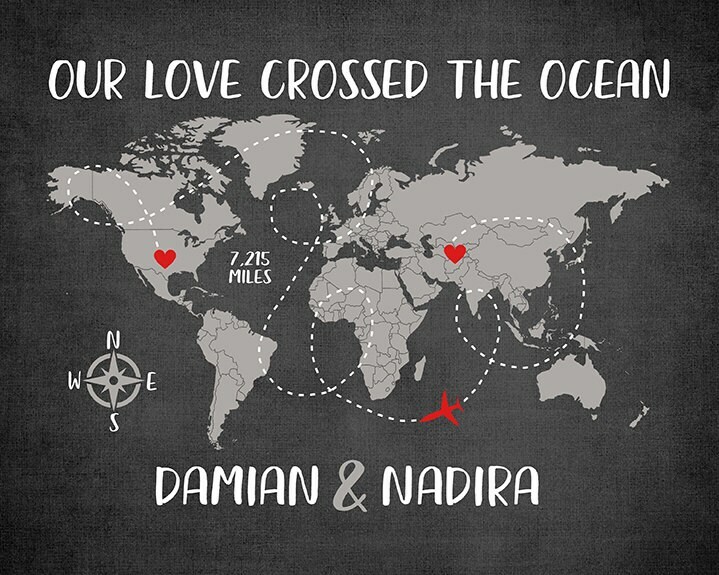 "Our Love Crossed the Ocean" Custom Long Distance Relationship map! Two hearts mark the locations of where the couple lives. Connecting the two hearts is a whimsical dotted line with an airplane in it. Also included is the mileage between the two. 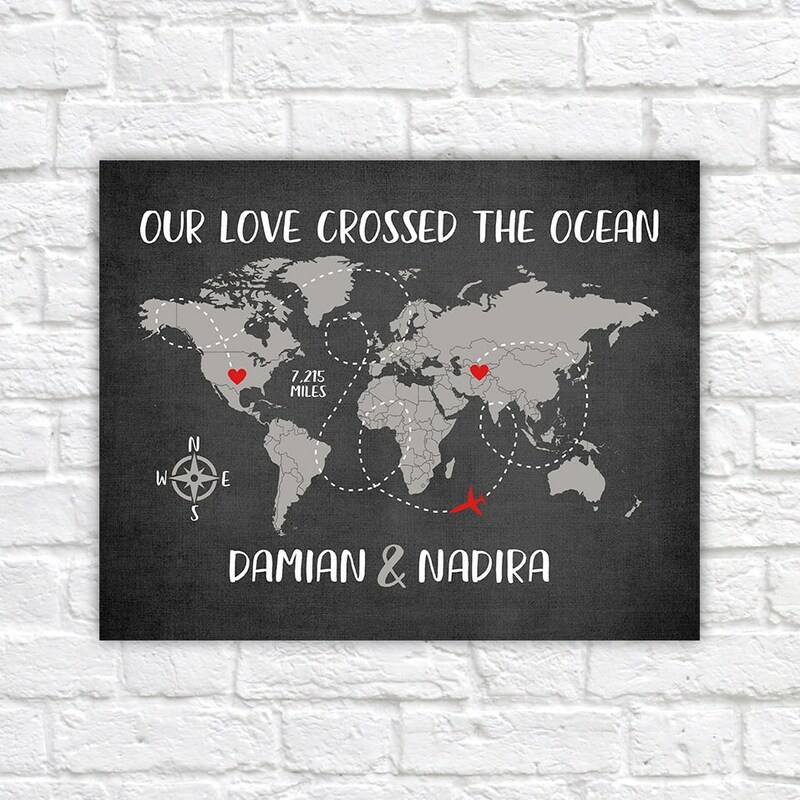 A great gift for deployments, long distance couples and more!